In this tutorial we’ll be making some cute and easy crochet buttons. The pattern uses US terms and stitches include double crochet (dc); chain (ch); and a magic ring. Yarn in a main and a contrast colour (I used Drops Paris cotton yarn by Garnstudio). 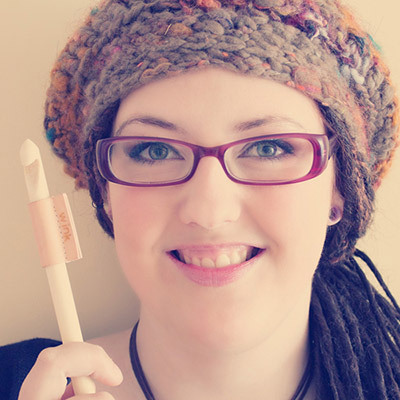 A crochet hook in a size suitable for the yarn you’re using (I used a 4mm hook here). A darning needle for sewing in the ends. Using the main colour yarn, make a magic ring and secure with a stitch. Chain 2 (counting as 1 dc), and work 11 double crochet in the ring, and pull it to close, creating a circle. Your stitch count is now 12. Cut the yarn and pull the end through the loop on your hook. Thread the end through the needle. …and back again through the back loop of the last stitch. This creates an extra ‘faux’ stitch, and gives a neat finish. You can now embellish your buttons. To create a contract colour ridge, grab your contrasting colour yarn, insert your hook in between one of the double crochet stitches and pull up a loop. Insert your hook in between the next double crochet stitch, pull up a new loop and pull through the loop on your hook. Continue like this counter-clockwise, pulling loops through all the double crochet stitches, until you reach the last stitch. Cut the yarn, pull through the last stitch, and thread the end through your needle. Insert the needle under both loops of the first stitch, and then back again through the back loop of the last stitch, bringing the yarn to the back. And your colour ridge button is finished! To create a star pattern, cut a small piece of contrasting colour yarn (about 30cms), and thread through your needle. Insert the needle under the two loops of a double crochet stitch, and then through the centre of the button. Continue in this fashion until you have completed your star. And there's your star button! Flip over your buttons and sew in the ends with your needle. That's it - you're done! You can think of endless variations to embellish your crochet buttons, like using citrus colours to create a fruity look!